As a sincere thank you, we have designed a program for your loyalty and patronage. 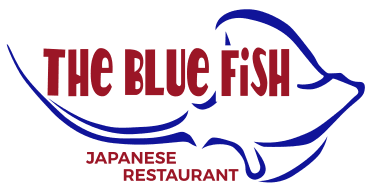 The Blue Fish loyalty rewards program awards you points, one point for every dollar (excluding tax and gratuity) when you dine in at any of The Blue Fish Japanese Restaurants. For every 500 points, you will earn $25 credit honored at any of The Blue Fish Japanese Restaurants. Please visit any locations and fill out the enrollment form for our Loyalty Rewards program and earn points today with a $25 gift certificate to use on your next visit. To View and manage your "The Blue Fish Loyalty Rewards"
You may purchase gift cards online for your convenience or at any one of our locations. Gift cards are good at any of our restaurants nation wide.